Are you a big fan of organic bedding? Well then say hello to the new SOL Organics sheets. 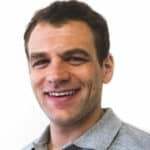 SOL Organics is a company looking to bring healthy, organic bedding products to consumers at an affordable price. Will SOL Organics be able to catch the eye of the eco-friendly consumer? Continue reading below to find out! Crunched for time? Click here to skip down to the review summary. The SOL Organics sheets are made up of 100% long staple organic cotton. With a 300 thread count and a 60s yarn count, these sheets are designed to mix the pleasure of comfort with longevity. Yarn count is simply a measure of how fine the yarn is. 60s is closer to the high end of yarn counts. Additionally, SOL sheets use a non-GMO seed to grow their cotton. There are no harmful pesticides or fertilizers used to grow their cotton. SOL uses a sateen weave that is designed to improve breathability, cooling, and feel. This set includes 2 pillow cases, 1 fitted sheet, and 1 flat sheet. The fitted sheet has an elastic band stitched to the bottom that ensures a snug fit around almost any size mattress. The pillow cases include an open end design for optimal airflow. The overall build quality of the SOL Organics sheet set is quite impressive. This is determined by examination of the stitching, material quality, and overall construction. Once I had completed my examination of these sheets, I found that there were virtually zero loose threads. Their sateen weave is well done and proves to be completed with a high level of craftsmanship. While there were just a couple of loose threads found on the flat sheet, none of them appeared as if they would do any substantial damage to the sheet if removed. Both the fitted sheet and pillow cases were flawless and showed no signs of damage whatsoever. All in all, the SOL Organics sheets seem to be well made. Adding on to that note, the sheets have a very clean aesthetic and fit the mattress nicely. While testing the SOL Organics sheets, I focused my attention on a few of the most important topics. For starters, shrinkage. In most cases, shrinkage is the most frequently discussed topic. 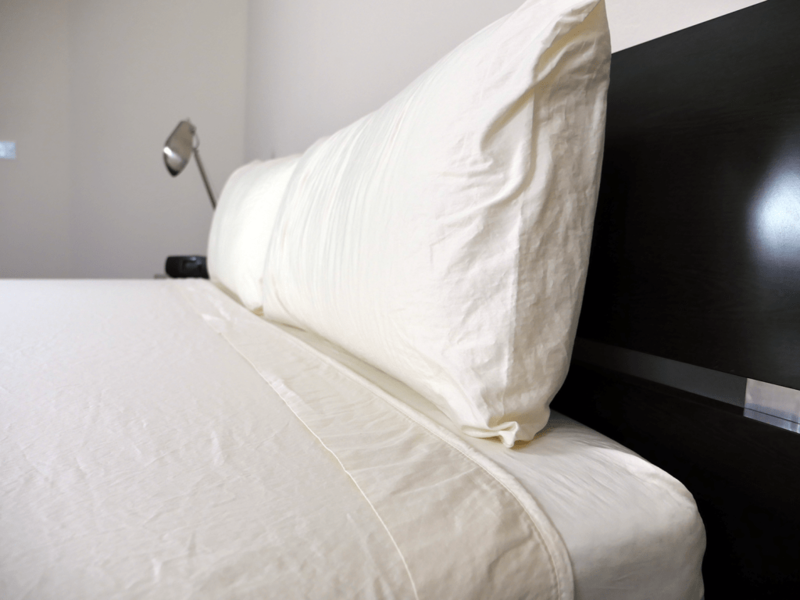 Consumers want reassurance that their expensive new sheet set is going to remain the same size through several wash / dry cycles. Not shrink dramatically and end up being useless to them. Following shrinkage, thread examination. Thread examination requires a deeper analysis of the actual inch-by-inch stitching of the sheets. This step answers questions like are there any troublesome loose threads? Have any threads grown in size after normal use and standard wash / dry cycles? Finally, the color test. Are the color / dye materials used high or low quality? This can be determined by signs of color run off. Shrinkage tests are extremely important for several reasons. The main reason being trust. In order for us as consumers to believe in a brand, we have to be sure that their sheets are going to maintain their size for an extended period of time. This test starts off by taking measurements of the SOL Organics sheet set that will serve as my baseline for comparison. Once this step is complete I wash the sheets in cold water and tumble dry them on low heat. After completing the wash / dry cycle, I retake the measurements and compare them to the originals. 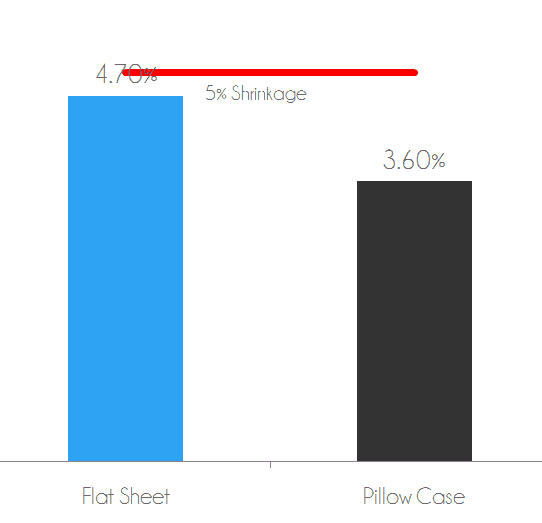 Between these two sets of measurements, the flat sheet shrank by 4.7% and the pillow case shrank by 3.6%. Typically, the largest amount of sinkage comes with the first wash / dry cycle. I would not expect to see much more, if any, shrinkage from these sheets. Any shrinkage results, especially for organic cotton, below 5% can be considered very good. Shrinkage test – the flat sheet shrank 4.7% after wash / dry. The pillow case shrank 3.6%. after wash / dry. During this test I reanalyze the sheet set and search for any new damages, loose threads, or various issues that could have occurred through normal usage and several wash / dry cycles. After closer examination, the SOL Organics held up very well. There were no new issues with the sheets and they still seemed as if they were fresh out of the packaging. The color test is used to determine the level of quality SOL decided to use in their sheets color / dye materials. 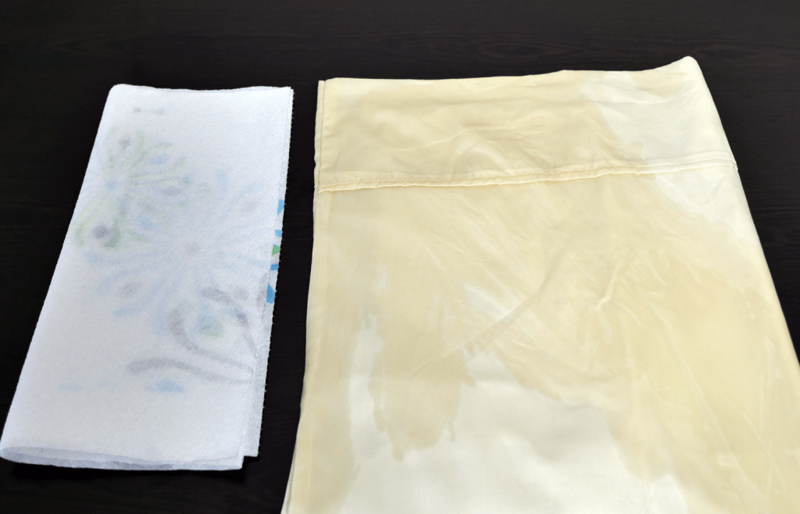 To begin, I drench a pillow case in warm water and allow it to fully adsorb the water. After this is complete, I then ring out any excess water with my hands. Next up, I place the pillow case on a bed of paper towels and proceed to firmly press a rolling pin against the pillow case. Upon further review of the paper towels and pillow case, there was zero color transfer. Therefore, SOL’s sheets proved to be made from high quality color / dye materials. 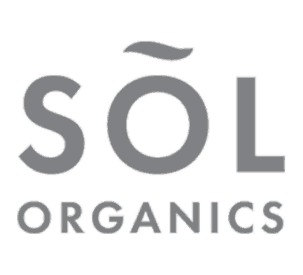 The SOL Organics sheets have a uniquely soft texture. The combination of their lightweight texture and sateen weave makes for a luxurious, inviting feel. Not to mention, the sheets did not once stick to my body. I was easily able to rotate sleeping positions without bringing the sheets with me. This is a major benefit for those sleeping with partners who are easily disturbed. It’s also beneficial for sleepers who want to avoid that trapped feeling that traditional cotton sheets often possess. The SOL Organics will easily slide with your body’s movements, creating a hassle free sleeping experience. When rating the softness of SOL’s sheets on a scale of 1-10, 1 being the softest, I would say they fall between a 3-3.5. Cooling is another feature these sheets brought to the bedroom. SOL Organics felt cool to the touch. In addition to the cool touch of these sheets, there were no hot spots or heat retention whatsoever during normal sleep. The weave, lightweight feel, and material quality do a good job of keeping the sleeping surface cool. Last but not least, style. No one wants to buy a boring sheet set, which is why SOL offers 3 different styles (plain, pleated, & hemmed) and 3 different colors (white, cream, & blue). Now there are no exciting patterns or stand out embellishments on this sheet set, but there is a clean aesthetic about them. If you’re looking to purchase a gender neutral, modern, and sophisticated sheet set, SOL Organics are a great option. Should I Buy the SOL Organics Sheets? Want 100% cotton sheets – these sheets are made from 100% long staple organic cotton, have a 300 thread count, and use a sateen weave. Want organic sheets – the SOL Organics sheets’ cotton is grown from a non-GMO seed in addition to the use of natural pesticides and fertilizers. Want lightweight + cool + soft feel – with a construction of 100% organic cotton, these sheets have a lightweight feel. With that lightweight feel comes soft and coolness. The combination of a lightweight texture, soft feel, and cool temperatures make for a luxurious sleeping experience. Want a clean and simple style – with 3 available designs and 3 color schemes, these sheets have sleek, simple, and clean style to them. They will look great in almost any bedroom. 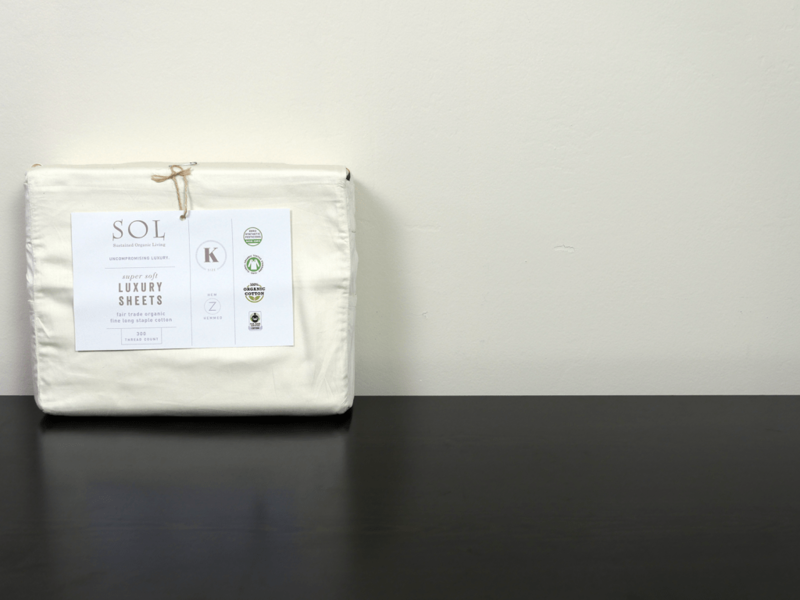 Looking for a little more information on the SOL Organics sheet set or ready to buy? Visit SOLOrganix.com. Made from 100% long staple organic cotton, the SOL Organics sheets have a very luxurious feel about them. These sheets have proven to be very durable and dependable. With 3 different colors and 3 different styles, the SOL Organics sheets offer some of the more modern looks consumers are searching for. A mixture of lightweight texture, soft feel, and cool to the touch temperatures make for a very high level cotton sheet set. Not to mention, they’re some of the most organic sheets in the industry.